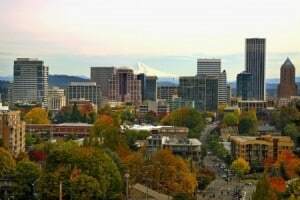 PORTLAND, Ore. (AP) — Three Oregon lawmakers are looking to give renters a break by eliminating the special fees landlord charge for pets. KOIN reports that House Bill 2683 would wipe out the monthly fees. With the exception of a deposit, it would prohibit landlords that allow pets in their units from charging tenants additional rent or fees simply based on possession of pets. Ron Garcia with the Rental Housing Alliance said he feels the bill is misguided and will hurt the people it’s trying to help. He said because those fees are needed to compensate for pet wear and tear and he feels landlords will end up charging more for deposits.